The pathological process amyloidosis, in which misfolded proteins (amyloids) form insoluble fibril deposits, occurs in many diseases, including Alzheimer’s disease (AD) and type 2 diabetes mellitus (T2D). However, little is known about whether different forms of amyloid proteins interact or how amyloid formation begins in vivo. A new study published in The American Journal of Pathology has found evidence that amyloid from the brain can stimulate the growth of fibrils in the murine pancreas and pancreatic-related amyloid can be found along with brain-related amyloid in human brain senile plaques. Islet amyloid can be found in islets of Langerhans (photo) in almost all patients with T2D. Islet amyloid is made up of islet amyloid polypeptide (IAPP), which is derived from its precursor proIAPP. Accumulation of IAPP can lead to beta-cell death. In the brain, deposits of beta-amyloid in the cortex and blood vessels are characteristic findings in AD. Several clinical studies have shown that patients with T2D have almost a two-fold greater risk of developing AD. The data described in the current study suggest that one link between the two diseases may be the processes underlying amyloidosis. This investigation focused on understanding how amyloid deposits "seed" or spread within a tissue or from one organ to another. "Several soluble proteins are amyloid-forming in humans. Independent of protein origin, the fibrils produced are morphologically similar," said Gunilla T. Westermark, Ph.D, Department of Medical Cell Biology at Uppsala University in Sweden. "There is a potential for structures with amyloid-seeding ability to induce both homologous and heterologous fibril growth. Penguins apparently can't enjoy or even detect the savory taste of the fish they eat or the sweet taste of fruit. A new analysis of the DNA evidence, which is described in in the February 16, 2015 issue of Current Biology, suggests that the flightless, waddling birds have lost three of the five basic tastes over evolutionary time. For them, it appears, food comes in only two flavors, salty and sour. The Current Biology article is entitled "Molecular Evidence for the Loss of Three Basic Tastes in Penguins." Many other birds, such as chickens and finches, can't taste sweet things either. But they do have receptors for detecting bitter and umami (or meaty) flavors. "Penguins eat fish, so you would guess that they need the umami receptor genes, but for some reason they don't have them," says Dr. Jianzhi "George" Zhang of the University of Michigan. "These findings are surprising and puzzling, and we do not have a good explanation for them. But we have a few ideas." It was Dr. Zhang's colleagues in China who led him to this discovery after they realized that they couldn't find some of the taste genes in their newly sequenced genomes of Adelie and emperor penguins. Dr. Zhang took a closer look at the penguin DNA to find that all penguin species lack functional genes for the receptors of sweet, umami, and bitter tastes. The researchers suggest that the genes encoding those taste receptors may have been lost in penguins not because they weren't useful, but rather because of the extremely cold environments in which penguins live. [Note: While some penguins have since moved to warmer climes, all penguins trace their roots to Antarctica.] Unlike receptors for sour and salty tastes, the taste receptors required for detecting sweet, umami, and bitter tastes are temperature-sensitive. They don't work when they get really cold anyway. 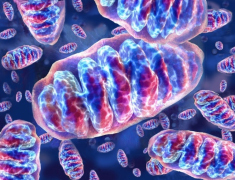 Researchers have discovered a novel role for Mitofusin 2, and the findings may point to a new treatment for patients with diseases caused by loss of the mitochondrial protein. The study appears in The Journal of Cell Biology . Mitofusin 2, and its closely related counterpart, Mitofusin 1, are located in the outer membrane of mitochondria. Both proteins are required for mitochondrial fusion, an important maintenance function in which adjacent organelles join together and exchange contents. Mice lacking the Mfn1 gene, which encodes Mitofusin 1, nevertheless seem perfectly healthy, but Mfn2-deficient mice die soon after birth. Moreover, mutations in theMfn2 gene are known to cause human diseases, including the peripheral neuropathy Charcot-Marie-Tooth type 2A. Lack of Mitofusin 2 therefore seems to affect mitochondrial function in other ways besides membrane fusion, but researchers have been unclear as to how. To find out, Max Planck Institute scientist Dr. Nils-Göran Larsson and colleagues investigated mouse heart muscle cells lacking Mfn2. They found that energy metabolism in these cells was impaired compared with that in healthy and Mfn1-deficient cells. They determined that the process was stalled because of reduced levels of coenzyme Q, a key component of the mitochondrial respiratory chain that generates cellular energy in the form of ATP. In the absence of Mitofusin 2, many of the enzymes and molecules involved in the pathway that generates precursors of coenzyme Q were decreased, indicating that Mitofusin 2 is required for coenzyme Q production. By supplementing Mfn2-deficient cells with coenzyme Q, Larsson and colleagues were able to partially restore respiratory chain function. They therefore think that coenzyme Q supplements might help treat patients with diseases caused by Mfn2 mutations. A new family of bacteria that are common in malaria mosquitoes has been described by researchers at the Swedish University of Agricultural Sciences (SLU) and Uppsala University in Sweden, Justus-Liebig-Universität Giessen, Germany, and the Veterinärmedizinische Universität, Austria. Now, attempts are being made to use these bacteria in the fight against malaria. A brand new bacterial family, which so far is only found along with disease-carrying mosquitoes, is described in the February 2015 issue of International Journal of Systematic and Evolutionary Microbiology. To describe a new family in this part of the bacterial family tree is unusual; it has only happened once before in the last 50 years. The bacterial family Thorselliaceae, as well as the genus Thorsellia, is named after the now 96-year-old Professor Walborg Thorsell, a legendary mosquito researcher who began her research in the 1970s and then, for several decades, developed mosquito repellents at the Swedish Defense Research Establishment to be used by Swedish soldiers in wartime. “When we discovered the first species of Thorsellia in a Kenyan malaria mosquito and decided to name the unique bacterium after Thorsell, we did not know that it would prove to be so common in mosquitoes, says Dr. Olle Terenius, researcher in the Department of Ecology, SLU. “In retrospect, we can conclude that the name was well chosen.” The discovery of the new bacterial family is strongly linked to research on malaria mosquitoes and the development of tools to combat this disease. The drug Gleevec (imatinib mesylate) is well known, not only for its effectiveness against chronic myeloid leukemia (CML) and acute lymphoblastic leukemia, but also for the story behinds its development. The drug was specifically designed to target an abnormal molecule--a fusion of two normal cell proteins--that fueled a tumor's growth. A similar drug might be able to tame some brain cancers, new research from Columbia University Medical Center has shown. A team led by Antonio Iavarone, M.D., Professor of Neurology and of Pathology and Cell Biology, Institute for Cancer Genetics, previously discovered that a fusion of two proteins (present only in cancer cells and different from the two in CML) drives some cases of glioma, a common form of brain cancer. The team's most recent study, published in Clinical Cancer Research, looked closely at two patients affected by recurrent glioblastoma with the fused proteins, in a first in-human trial of a drug that targets half of the fusion protein. Those patients, the researchers found, responded particularly well to the drug, with clinical improvement and radiological tumor reduction. The responses lasted 115 and 134 days, respectively. "This suggests that if we developed a drug that hits the fused protein more precisely, while leaving normal cells alone, we may get even better results," said Dr. Iavarone. "The real test of that will have to wait for the development of such a drug and the clinical trials." The study also found the fused protein in a significant fraction of the 795 glioma cases they examined, indicating that a smart drug that targets the fused proteins could have a meaningful impact. Did you know that the blood-sucking parasite known as the tick is actually nearly 900 different species? Or that the tick is not an insect, but an arachnid? Anything you might want to know about the scourge of dogs everywhere can be found at the U.S. National Tick Collection (USNTC) (http://cosm.georgiasouthern.edu/icps/collections/the-u-s-national-tick-c...). The USNTC is a part of the Smithsonian’s National Museum of Natural History and is housed at Georgia Southern University’s Institute for Coastal Plain Science in Statesboro, Ga. The USNTC is the largest continuously curated tick collection in the world, with 96 percent of the world’s recognized tick species and specimens from every continent. Smithsonian Science science writer Maryilyn Scallan Epstein questioned Lorenza Beati (http://cosm.georgiasouthern.edu/icps/collections/the-u-s-national-tick-c...), M.D., Ph.D., the USNTC’s curator, about ticks. How long have ticks been on the planet? “This is a much debated issue. There are few fossil ticks, and they are relatively recent, appearing 100-to-90 million years ago. Morphologically, they are pretty identical to modern ticks, so there is little to learn from fossils.” Where do ticks live? “Ticks live on all continents: They parasitize reptiles, mammals, birds, and even (rarely) amphibians. They are not associated with water environments, with the exception of one tick that is found on sea snakes. One species, Ixodes uriae (http://en.wikipedia.org/wiki/Ixodes_uriae) , has an odd, disjunctive distribution (they are found in the arctic region and Antarctica) and feeds on sea birds. Ticks can be nidicolous (living in the nests and burrows of their hosts) or free in the environment.” Why are ticks a source of vector-borne disease? At the 2015 Annual Meeting of the American Association for the Advancement of Science (AAAS) February 12-16, 2015 in San Jose, California, National Science Foundation (NSF) staff and NSF-funded investigators will present results and insights representing the full scope of science, from graduate education to the biochemistry of extremophiles. One of the world's best-known scientific gatherings, the AAAS meeting this year has as its theme, "Innovation, Information, and Imaging." Below is a sampling of sessions organized by, or featuring, NSF staff and NSF-funded scientists, that address breakthroughs in basic research as well as the policies and priorities that shape the scientific enterprise. Women remain underrepresented in science and engineering, and tend to earn less than men in similar science and engineering jobs. Reducing the gender gap--by both encouraging gender equality and applying a better understanding of gender issues to research--is a priority of governments worldwide. When it comes to gender considerations in STEM, "we're at a transformative moment," said Wanda E. Ward, head of NSF's Office of International and Integrative Activities. She led a session at AAAS on the role of gender in STEM policy, practice, and research. It specifically focused on advances in Europe and North America--including the roadmap for action developed after 2013's Gender Summit 3, which was hosted by NSF in partnership with other funding agencies in the U.S., Canada, Mexico, and Europe. "NSF and our sister agencies across the world are committed to integrating and leveraging the gender dimension into the scientific community and scientific research itself," said Ward.